It’s the largest annual event in WA and the third largest Fringe in the world with 700 events at almost 138 venues and performance spaces. 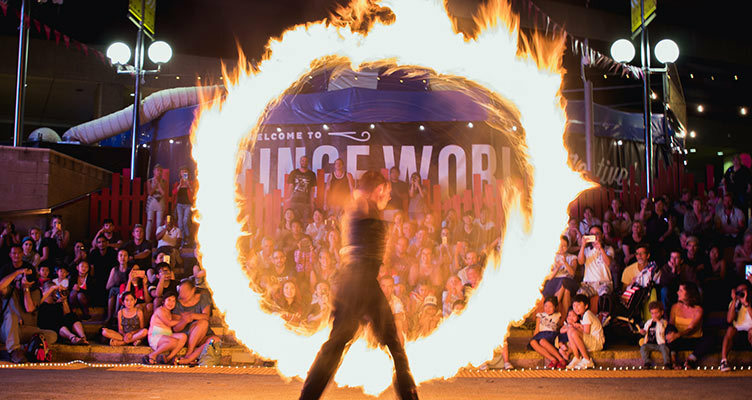 The 2019 FRINGE WORLD Festival will run for 31 days from 18 January to 17 February. The Pleasure Garden. Photo by Courtney McAllister. The average ticket price is a bargain $25 and the best way to Fringe is to see as many as possible - this is your time to Fringe Binge! The Pleasure Garden. Photo by Alex Mansour. The best place to start your Fringe adventure is The Pleasure Garden. Located in the entertainment precinct in Northbridge, The Pleasure Garden features the biggest variety of shows at the Fringe and is home to the FRINGE WORLD Mermaids. The full 2019 program of 700 events is live now and you can browse here. Early access and discounts are available for FRINGE WORLD Friends. The Urban Orchard. Photo by John Leonard.